The Fact is many amongst us still do not understand the functionality of Pixels and it&apos;s Importance. Many at times it pains me watching my Students burn their hard earned money on Facebook Ads, just because they misunderstood or did not understand Pixels. Today along with Nishant Sharma (One of my Colleagues), I want to solve this for you. That is the reason we have made Pixel Unleashed. A Big Case Study which we did for one of our Client in which we Made $1500 in Returns by spending just $100. We want to make sure that anyone and everyone running Facebook Ads should understand the Use of Pixels. And that is why we are Pricing Pixel Unleashed so low, that even a Student will be able to afford it. 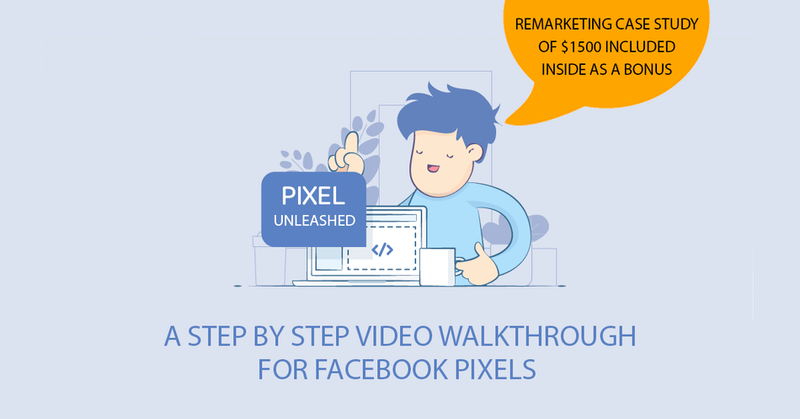 Which means you can begin your journey to become a Facebook Ads Mafia by following our Step by Step Pixel Unleashed Guide starting right now. However, we cannot be certain of how long we will be able to maintain this Low Price. It&apos;s best to pick your Copy Today.